In the coming months, the Dalai Lama will turn 80 years old and will be celebrating in Orange County. Exiled from Tibet since 1959, the Dalai Lama and his exiled government are still trying to resolve tensions with the Chinese government. Furthermore as the 14th Dalai Lama gets older, talks of his successor—or reincarnation—have grown more prominent. This is specifically so because his successor could either promote Chinese occupation of Tibet or further the 14th Dalai Lama’s cause for Tibetan autonomy. As recently as March of this year, comments from the 14th Dalai Lama and the Chinese government have again reflected such contestations over the autonomy and even the independence of Tibet from China, particularly focusing on the reincarnation of the Dalai Lama. The back-and-forth between the two sides began when the 14th Dalai Lama—Tenzin Gyatso—stated that China doesn’t have the right to name his successor or reincarnation and added that he might not even be reborn at all. In response, the Chinese government and its appointed governor of Tibet, Padma Choling, accused the Dalai Lama of blasphemy and attempted to reaffirm China’s right to choose his successor. In response, allies of the Dalai Lama stated that China choosing the 15th Dalai Lama would be “akin to Cuban leader Fidel Castro choosing the Pope.” Responses flew back and forth between the two sides and left each side further polarized with no resolution. The successor of Tenzin Gyatso is important to the two sides because the Dalai Lama is the head monk of Tibetan Buddhism who is respected by the Tibetan people and will play an important role in shaping how Tibet views itself in relation to China. Specifically, if China selects a successor that favors Chinese occupation and presence in Tibet, it is likely that China will be able to effectively remove the influence the exiled the Tibetan government has and further consolidate its control of Tibet. 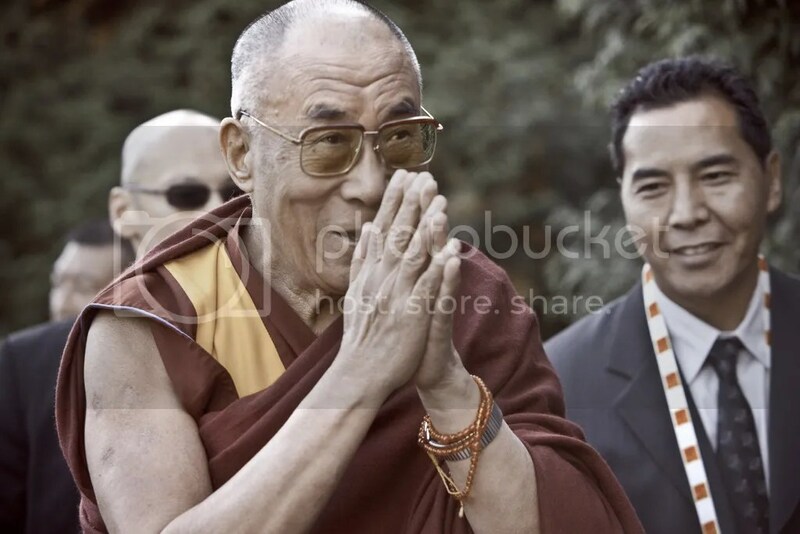 To give some context, the Dalai Lama is defined in Buddhism to be “a reincarnation of a past lama who decided to be reborn again to continue his important work, instead of moving on from the wheel of life.” The Dalai Lama traditionally has been responsible for governing Tibet; in the case of the 14th Dalai Lama, he was in charge of Tibet until the Chinese government took control and exiled him and his government in 1959. As a result, relations with Tibet and China have always been rocky. Tibet has been under Chinese occupation since the arrival of Chinese troops in 1951 and since then, many Tibetans have called for Tibet to have its own autonomy. It should be noted that by autonomy, the Dalai Lama and his followers do not mean independence from China but rather that China respect the Tibet’s individual culture, language, religion, traditions, and more. Indeed, Dalai Lama has called for Tibetan autonomy through an approach he calls the “Middle Way”. Through the “Middle Way,” Tibet would remain a part of China but be allowed to keep and freely practice its ancient cultural heritage. Furthermore, China would benefit from Tibet’s natural resources while Tibet would benefit from China’s help in its modernization and economic development. Despite this, the Chinese government has remained doubtful, insisting that Tenzin is still calling for independence. Among the many issues between China and Tibet, an important issue is that of religion since the Chinese Communist government believes in atheism. In detail, the Chinese Communist Party’s disregard for Tibetan Buddhism—by way of destroying monasteries, forcing monks to marry, and more—led to a popular Tibetan uprising that failed and resulted in the exile of the Tibetan government as well as the 14th Dalai Lama. Despite many attempts at negotiations between Dalai Lama and the Beijing government between 2000 and 2006, negotiations have been stalled. Many exiled-Tibetans say that they believe that the Chinese government has quit such talks because it is waiting for the Dalai Lama pass away and with it his ideas for a more autonomous Tibet. On the other hand, the Chinese government denies such claims, stating that the Dalai Lama is a separatist who is insistent on driving a wedge between Tibet and China—something that the Chinese government will never allow. Specifically, China—in its white papers on Tibet—demanded that Dalai Lama make “a public statement acknowledging that Tibet has been an integral part of China since antiquity, and abandons his stance on independence and his attempts to divide China, can he improve his relationship with the central government in any meaningful sense.” All in all, it seems that negotiations—let alone a resolution—are unlikely with both sides so adamant on their stances. Furthermore this is not the first time that China and the 14th Dalai Lama have had contestations in regards to the reincarnations of Tibetan Buddhism. For example in 1995 when the Dalai Lama named a 6 year-old boy as the reincarnation of Panchen Lama, the second holiest monk in Tibetan Buddhism, the Chinese government hid away that child and instead selected another child. By refusing to recognize Tenzin’s choice and selecting its own, it seems that China is attempting to exert and maintain its influence on Tibet. By choosing the next Panchen Lama, again China can manipulate this figure to promote Chinese occupation and control of Tibet. From this, one may question why China has even any say to intervene and take part in the traditional succession rituals of the Tibetan people. However, China claims that it does have a say in such rituals by pointing to history. Specifically during the Qing Dynasty when the Manchu emperors ruled China, they held a limited role in the succession of the Dalai Lama and other important Tibetan Buddhist leaders. However, it seems that with such actions the “Communist Party has demanded an increasingly hands-on role in intricate rituals of succession.” From this, one can see perhaps how China is using reincarnations as a way to generate support for its presence in Tibet. In spite of this, the Dalai Lama states that it’s up to the Tibetan people “whether the institution of the Dalai Lama should continue…there is no guarantee that some stupid Dalai Lama won’t come next, who will disgrace him or herself.” By this the Dalai Lama also means that the Tibetan people must decide whether they agree to remain part of China. This decision is critical not only in defining Tibetan and Chinese relations but also the international community. As China continues to rise, it has already and will continue to assert its presence along its borders with India. Before, Tibet had always been the historical buffer between China and India; however after China’s annexation of Tibet, China has begun to lay claim to Indian territories “on the basis of purported Tibetan ecclesial or tutelary links.” Specifically, China is seeking “to advance its strategic interests in the Sikkim-Bhutan-Tibet tri-junction…[a] narrow neck of land that connects India’s northeast with the rest of the country.” Furthermore water disputes have occurred with the China’s hydro-engineering projects. Thus such a decision will play a great role in defining not only Tibet and China relations but Sino-Indian relations as well. ← THE INTERNET OF THINGS: BIG PROGRESS OR BIG BROTHER?